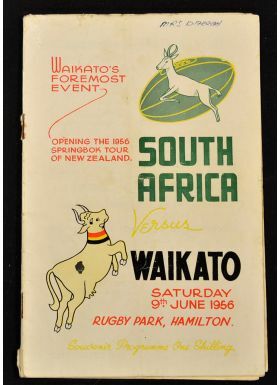 1956 S Africa in NZ Rugby Programme: Typically colourful glossy 'Mooloo' cover, a little tatty, for this 9th June opening game of the Springbok tour, Hamilton's 'event of the year'. 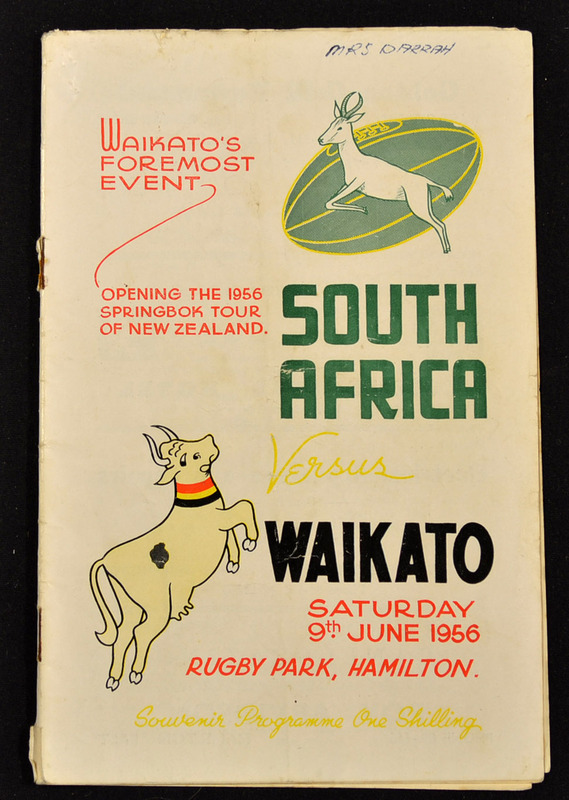 Packed & intriguing content & pics. FG.